What is the difference between Light Duty and Heavy Duty Cartons? Light Duty Cartons are made of a Single Wall (B Flute) structure cardboard and are ideally used for storage and moving light to medium items. Heavy Duty Cartons are made of Double Wall (BC Flute) structure cardboard which resists box sag so cartons can be stacked. Suitable for heavier items and/or long term storage. What is the difference between Light Duty and Heavy Duty Bubble Wrap? Light Duty Bubble Wrap consists of 10mm diameter bubbles and is best suited to protect smaller, fragile items, taking up less space when packing multiple wrapped items into boxes. Heavy Duty Bubble Wrap consists of larger 20mm diameter bubbles and offers the ultimate impact protection, best suited to larger, heavier items. The larger bubble size means less wrap is required, making it more economical. Is the Wrap & Move Bubble Wrap Range degradable? We encourage you to reuse Bubble Wrap as much as possible, however our Bubble Wrap is environmentally friendly and engineered to degrade when discarded. How do I load a tape gun? Take a look at this short instructional video. How do I use strapping? 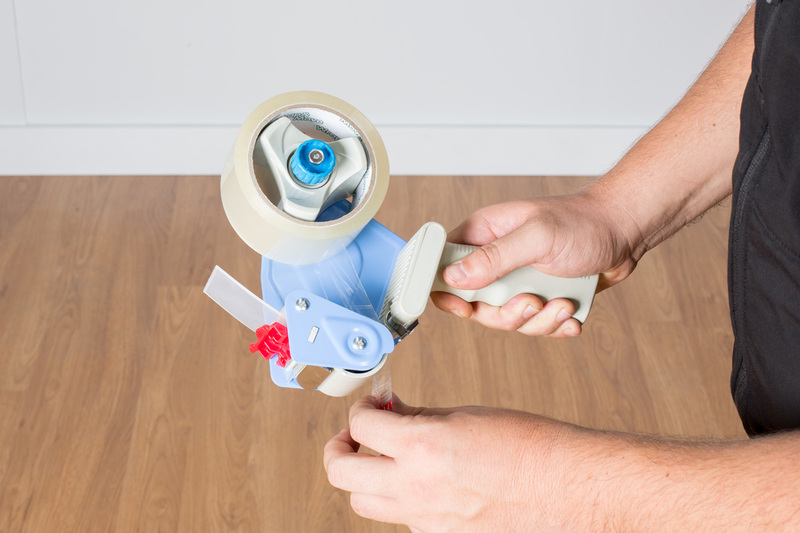 STEP 1: Position strapping around items as desired. 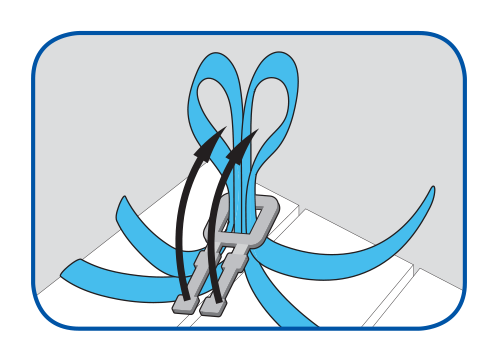 Where strapping meets, form a loop with each end, with the tail ends of the strapping facing away from each other. 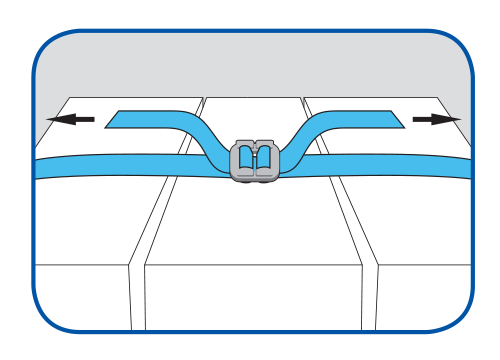 STEP 2: Feed the two loops through the square hole in the Poly Buckle until they are protruding about 4cm. STEP 3: Fold the ‘dog bone’ legs of the buckle through the two loops of strapping. 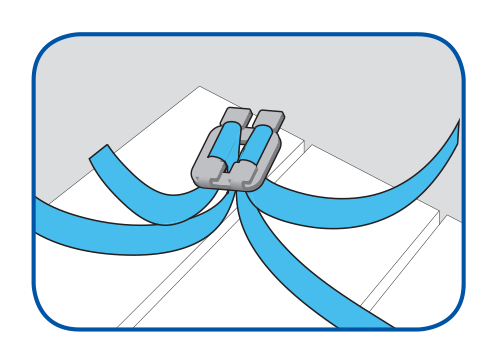 STEP 4: Apply tension to ends of strapping until items are secured to your desire. How much weight can a Porta Robe hold? The Wrap & Move Porta Robe can hold up to 10kg, evenly distributed. Are all Wrap & Move Cartons recyclable? 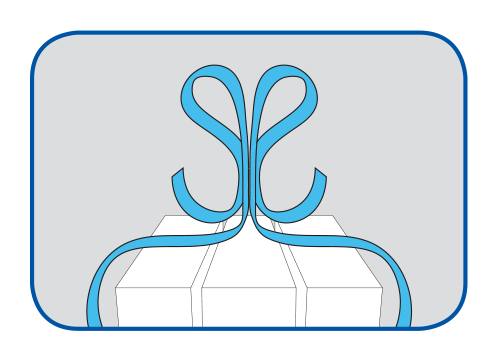 All Wrap & Move cardboard boxes can be reused & recycled, meaning less resources are used in the future. Recycled cardboard can be used in making further cardboard boxes and re-use of boxes ensures maximum life-span of the original materials. Is the Wrap & Move Heavy Duty Bubble Wrap anti-static? No. The most suitable way to protect your electronics during moving and storage is by wrapping them in the Wrap & Move Premium Moving Blanket. Is the Wrap & Move Shrink Wrap Range CFC-free? Yes. Although it is an organic compound, CFCs have been known to cause great damage to the environment. At Wrap & Move we do our very best to ensure our products are as an environmentally friendly as possible. Where can I buy Wrap & Move products? Wrap & Move is available at your local Bunnings. Check in-store or online for the full range, up to date pricing and availability. Simply describe the specifics of your home on the Moving Calculator and it will produce a list of recommended moving supplies. You can adjust the quantities to customise the list and when you are ready, click the Add To Your List button. How do I use the Moving Planner? Use the Wrap & Move Moving Planner to quickly and easily create your own customised Moving Checklist. Already populated with common moving tasks and the ability to add your own, generate your checklist by adding those relevant to you and our calculator will give you a good indication of what your move will cost. Once you are happy with your list you can email or print it and tick items off as your moving journey progresses. How do I use Your List? Once you have added items to Your List, print it out and take it to your nearest Bunnings to purchase your moving supplies, or use it as a checklist on your mobile device, ticking items off as you go along.